The ideal vacation for some folks is to plant themselves on a tropical beach with a fruity drink and move as little as possible. For others, every vacation is a chance to check something off their bucket list. If that sounds like you, then you’re in luck. Our resident wish fulfillment expert, Susan Rogers has a firm grasp on the best tours and activities for your next vacation. Rent a Segway in Rome passing incredible monuments like the Colosseum, Roman Forum and Circus Maximus. Skip the line to climb the Notre Dame Cathedral’s Bell Towers and explore 2000 years of tumultuous Parisian history from atop the City of Light. Explore the ruins of Chichen Itza on a full-day tour of the UNESCO World Heritage site. 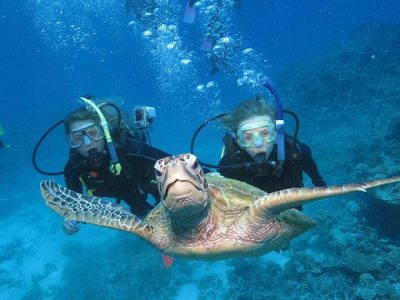 Or, snorkel with spinner dolphins and green sea turtles off the west shore of Oahu. These are just a few of the possibilities that can be pre-arranged prior to your departure. Why fly all the way to in Europe or Hawaii and miss out on the special fun? Call Susan at (678) 420-2510, or contact her by email at vacations@teplis.com to get started on that bucket list.